Do you have a poor credit rating and need a loan or credit card? It's actually a fairly common problem – but one that can be fixed. 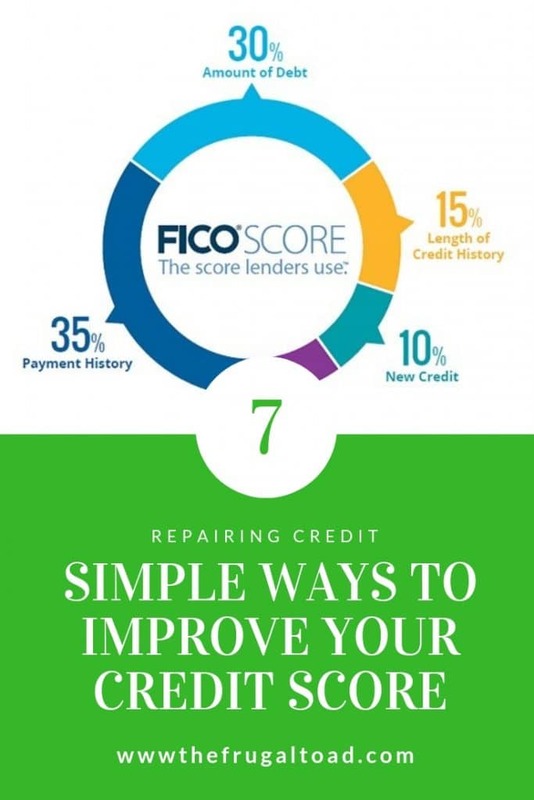 While repairing a poor credit score can't necessarily be done overnight, these tips should be enough to get you started so that you can improve your credit rating in the long-run. Your credit rating can be being adversely affected by the amount debt you have. 30% of your credit score is impacted by how much debt you are using as a percent of your approved credit. Keeping your Credit Utilization Ratio below 30%, preferably below 10%, will improve your score. One thing that will negatively impact your credit score is having too many credit cards with balances. If you have cards with small balances, consider paying them off and don't use them until you pay off other debts. After that, select 1-2 credit cards with the best terms and use them exclusively for purchases. The most effective way to improve your credit score is by paying off your credit card balance in full each month. This is kind of obvious and not exactly helpful if you currently are struggling with large balances on your credit cards. The point is that once you get your outstanding balances down to a manageable amount, you should strive to pay off balances each month. Not only is this good for your credit rating, it's also a more affordable way to live and will lower the interest charges and other fees associated with your card. Before you can fix your score, you need to find out exactly what you're dealing with. 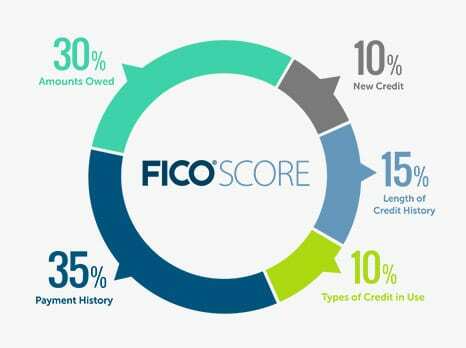 You can use one of the many available services to find out your credit score and report or you can request a free credit report annually thru AnnualCreditReport.com. The process to fix an error is fairly straightforward. You will need to contact the credit bureau and explain what error you want corrected, why you feel it is an error, and provide documentation. Credit bureaus must investigate disputes within 30 days. Contrary to what you may have heard, closing accounts is typically not a good idea and can harm your credit score. Instead, after you pay off a credit card or loan, keep the account open. As long as you have made payments on-time and there are no derogatory remarks on your account, this will help to boost the age of your credit and raise your credit score. Opening additional credit card accounts may sound counterintuitive, however having additional credit cards will lower your credit utilization ratio which will have a positive impact on your credit score. Choose credit cards that have competitive interest rates and no annual fees and pay the balance off monthly. Remember, the goal is to increase your available credit not go further into debt! If you are just starting to build a credit history, open a secured credit card and start using it. You will typically have a low limit such as $500 and will require a deposit to secure purchases up to your credit limit. It is a great way to build credit and a good payment history. Like we mentioned above, keep making payments on-time and you will see your credit score improve over time. If you’d like to find out more about improving your credit score, then you can get details here.